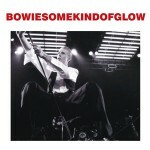 This is a good concert and Bowie – who had a flu during this concert – sings splendidly. The audience are also quite fanatical. At the end of Jean Genie Bowie says: “Thank you very much,we’ll see you in about five months from now,thank you”. 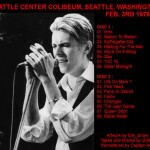 March 21, 1976 did not start off as a particularly great day for David Bowie. 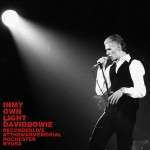 Around 3 a.m., four Rochester, New York, police detectives and a state police officer searched Bowie’s three-room suite at the Americana Rochester Hotel, where they found a little more than six ounces of marijuana. Bowie and pal Iggy Pop, were taken to the Monroe County Jail, booked on fifth-degree criminal possession of marijuana, punishable by up to 15 years in prison, and released at about 7 a.m. on $2,000 bond. 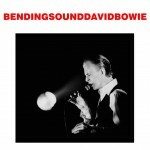 Bowie was to be arraigned the next day, but his lawyer successfully argued for a delay until March 25, noting Bowie would face stiff penalties if he missed the gig at the Springfield Civic Center. So, a little more than 12 hours after leaving the Monroe County Jail, Bowie was performing before 6,752 fans in the City of Homes. The concert began with a showing of the 1928 surrealist film “Un Chien Andqalou” (“Mad Dog”) before the music got underway. No mention was made of the arrest – and a grand jury later chose not to indict Bowie or Pop on drug charges. Single pass of iZotope RX denoiser for hiss. Sundry tweaks to volume, which was very variable throughout. Running too fast. Speed adjustment on all tracks to Rebel Rebel with factor of 96%; The Jean Genie speed adjustment at 92%. Gap (presumably encore break) between Diamond Dogs and Rebel Rebel – removed and smoothed out. Gap (and virtual fade to zero) between Rebel Rebel and The Jean Genie. Removed and tidied.